The superior quality of OLFA blades is the result of a multi-step production process. Only the finest quality tool steel is selected for use. For all OLFA blades, we adjust hardness, sharpening angles, tapered dimensions, the coarseness of whetstone, the speed of grinding, etc. for every type, and ensure the blade has the best balance of high sharpness and longest blade life according to a usage. 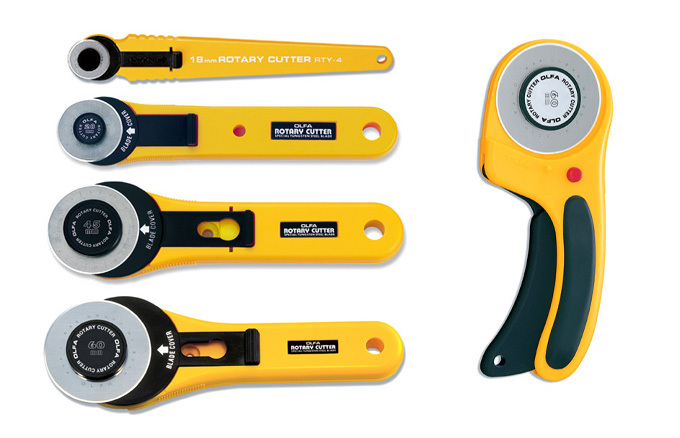 The rotary cutter is especially useful for cutting multiple layers of fabric. 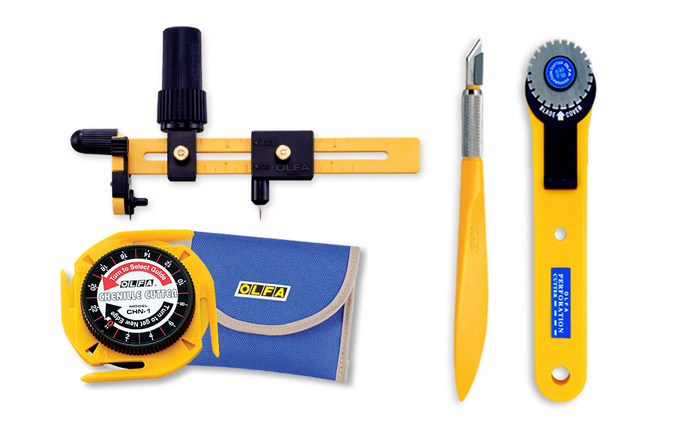 Accommodates both right- and left-handed users and is perfect for general quilting, sewing and craft projects. 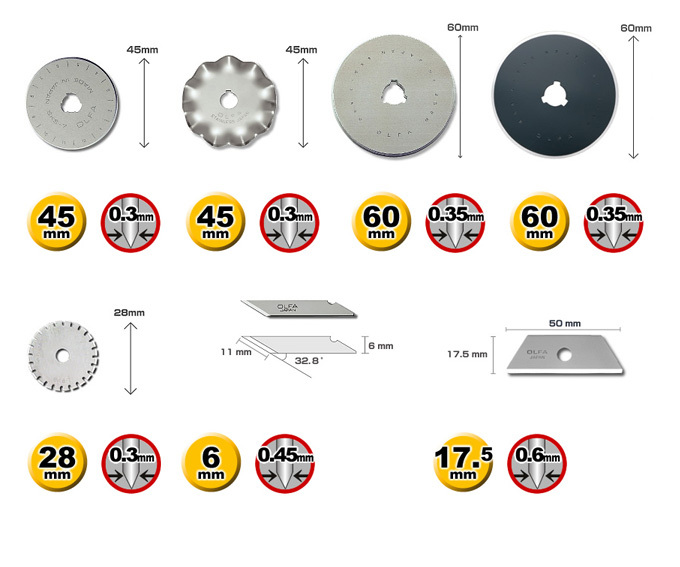 Available in: 18mm, 28mm, 45mm, 60mm Rotary Cutter and 60mm Delux Rotary Cutter. All types of cutters, perfect for cutting quilting templates, paper stencils for coloring, painting, ticket-making and scrapbooking. Art Knife, Compass Cutter, Stencil Cutter, 18mm Perforation Cutter, 60mm Chenille Cutter. OLFA blades are designed for hand held cutting use mounted on OLFA cutters and knives. Each pack comes with a plactic case.